One of my craft goals for 2017 is to spend more time enjoying the process of creating. I plan to enjoy more slow hand stitching – cross stitch, embroidery, hand quilting. When I spotted the #2017sewingbookchallenge over on instagram – I knew it was the inspiration I needed! Basically the challenge is to make a project each month from a sewing book that you haven’t used. If you are like me, you probably have a stack of inspiring sewing books, but sadly I haven’t made many of the projects. This year I hope to make at least one item each month from a different sewing book, and will review them here in case you need any inspiration for your own libraries! One of my favourite sewing books is Maison Sajou Sewing Book: 20 Projects from the famous French Haberdashery. This book combines my love of vintage French haberdashery and beautiful, classical, projects in the French style – many of which include elements of embroidery. I was immediately drawn to the monogrammed sachets which include beautiful old monogram alphabet from the nineteenth century. I gathered my supplies and cross stitched the monogram using two strands of embroidery thread on an evenweave fabric. Once the cross stitch was completed, the sachet was quick to assemble. I combined some classic Liberty tana lawn (Betsy design) to complete the sachet. The sachets measure 51/2 inch x 51/2 inches. The sachet was filled with dried lavender. I will be tucking this lovely monogrammed sachet into my clothing drawer so that everything smells lovely! 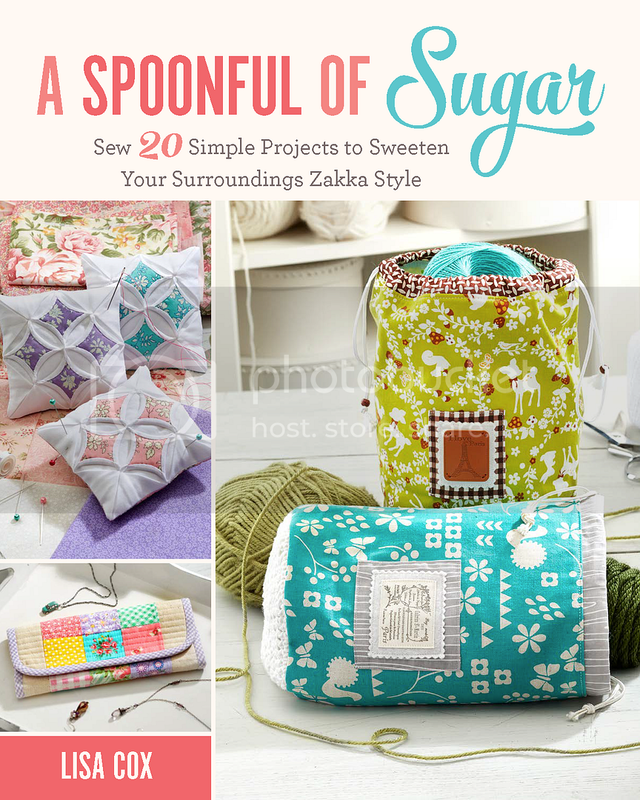 I was really pleased with this project – these sachets would make sweet gifts. I would recommend the Maison Sajou Sewing Book to anyone who loves beautiful and traditional sewing projects in the French Style. The projects include bedlinen, table cloths, pillows, and smaller projects such as lavender hearts and pincushions. The projects include beautiful embroidery, monograms, drawn threadwork and more. The projects are beautifully photographed and include detailed instructions. For more inspiration head to the Sajou website – they stock an amazing collection of haberdashery, embroidery, and textiles. Disclaimer:This post contains affiliate links to Amazon. Lovely, I did the same kind of thing with a cross stitch Christmas motif and Christmas fabrics in December for ornaments. Will have to check it out! Sounds lovely. Great tip – thanks Lily! Really pretty! Thanks for sharing. That’s one of my favourite books too- always inspirational.